Founded in 1984, the School of Economics and Management at Tsinghua University is not only one of the largest colleges within the university, but is also one of China’s finest business school the Asian region. It is the only business school in China that has obtained both accreditations from AACSB and EQUIS, the two top accrediting agency for business programs. The school has long been continuously partnering with prestigious business schools world-wide, as many as 50 top tier universities including, MIT Sloan School, Harvard Business School, University of Pennsylvania Wharton School, Washington University Olin Business School, HEC Paris School of Management, along with other renown universities in the European and Asian regions, in establishing business education collaborations and student exchange programs. In the 2007-2008 fall semester, a total of 55 junior year business students were sent on an overseas exchange to study at well-known universities, which were approximately one thirds of the Junior year student body, fulfilling the school’s objective of becoming in line with the international standards. In addition, the school conducts industry-academia collaborations with many multinational companies, supports the establishment on a number of world-class research centers and major laboratories, and provides numerous professional lectures and opportunities for students to put their learning into practice. 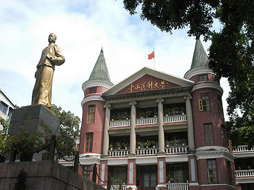 City University was first founded as the City Polytechnic of Hong Kong (abbr. City Polytechnic) in 1984. The university is dedicated to cultivating and expanding students’ capacities in all fields, as well as, creating practical knowledge beneficial to social and economic progress. City University devotes itself to becoming a world-class business school highlighting its leading research capacity and professional education. City University has been among the top 200 universities by the Times Higher Education ranking for 6 consecutive years and 124th globally by the same ranking in 2009. Furthermore, City University is 15th in the Asian University Rankings 2010 published by Quacquarelli Symonds (QS). The university has also acquired three international accreditations, AACSB, EQUIS, and AMBA, of which less than one percent of the world’s business schools have attained. 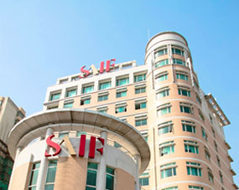 Using the Shanghai Jiao Tong University’s (SJTU) Business School as world class model of management training excellence, the Shanghai City government together with SJTU established the Shanghai Advanced Institute of Finance (SAIF) in 2009 to provide for the rapid development of human talent to support Shanghai’s growth as a global financial center. SAIF combines top-rated faculty and facilities to cultivate top managers with profound understanding of international financial systems. Despite its short history, the Institute’s contribution to international exchange is significant. To date the Institution has cooperated with the Business School at the University of California-Davis (USA), the Manchester Business School (UK), and the IE Business School (Spain). 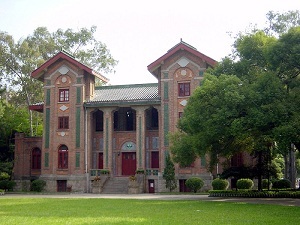 Sun Yat-Sen Business School was founded in 1985. 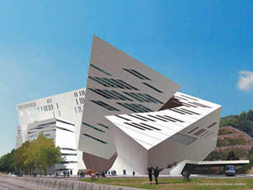 It is one of the youngest yet aggressive business management education and research institutes in China. The school has earned its reputation as a prestigious, nationally influential business school. Since its establishment, Sun Yat-Sen Business School has been firmly supported by multiple domestic and international foundations, such as, the Hong Kong Ho’s Education Foundation, Fok Ying Tong Education Fund, and Hong Kong Pei Hua Education Foundation. The school has become an essential base for cultivating professional managers and entrepreneurs in China. In 2009, Sun Yat-Sen Business School successfully acquired AMBA accreditation. In addition, the school is active in developing international exchanges and cooperation. 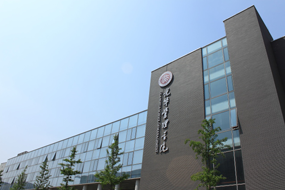 Sun Yat-Sen Business School boasts close academic exchanges and partnerships with more than 30 globally renowned universities in Europe, North America, South-East Asia and among other regions. Through long-term exchange programs, Sun Yat-Sen Business School has hosted as many as 190 incoming visiting professors and scholars and 250 exchange students in the past four years. Meanwhile, the school has also sent over 400 students abroad. Huazhong University of Science & Technology was specially founded by the Chinese Ministry of Education in 1953. It was also included in the “211 Engineering Project” and the “985 Engineering Project”. Forests and natural landscapes make up 72% of the campus making the University famous for its lush greenery as a beautiful scenery. Huazhong University of Science & Technology insists on an open philosophy of school administration, actively creating multi-dimensional international interaction and cooperation. Currently the university has cooperated with more than 100 institutions from 26 countries, including sister school agreements with the University of California (USA), the University of Birmingham (UK), Nanyang Technological University (Singapore), and Tokyo University (Japan). Additionally there are more than 1,500 exchange professors heading to Huazhong University to teach, participate in conferences and other academic exchange opportunities every year. 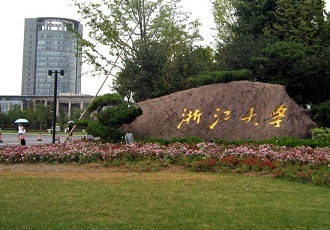 Established in 1905, Fudan University was originally named Fudan Public School. The university features the earliest business education program in China, and it is the very first institution of higher-education founded independently by Chinese nationals. 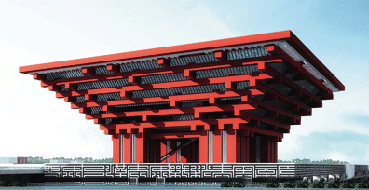 During its hundred-year history, Fudan University has laid a solid academic foundation and is active in cultivating intellectuals, technological innovations, as well as, passing down civil and social services. Presently the university has focused on internationalization. This ambition can been seen not only from its academic cooperation and exchanges with Yale University in USA, Waseda University in Japan, and National University of Singapore, but also from its more than 59 partner schools across 30 different countries. Moreover, Fudan University has made great strides toward international education by joining the Partnership in International Management (PIM) program in 2006. Fudan University’s superb performance was accredited by both AACSB and EQUIS certification consecutively in 2009 and 2010. Founded in 1978, the Graduate University of the Chinese Academy of Sciences was the first graduate school approved by China's Ministry of Education. The university aims to cultivate modern advanced researchers. Its abundant scientific research resources render it first place in the 2008 Chinese University Graduate School Evaluation under the fields, science and engineering. 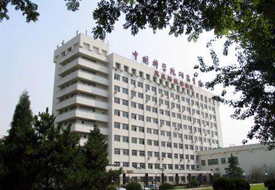 GUCAS claims to be, “a school without borders,” with its main graduate institute headquartered in Beijing, rest of its many institutes lie in more than 20 other province and cities, forming a nationwide network of post-graduate education. Such resourceful network has rendered it China’s most leading university for the cultivation of highly educated intellects. 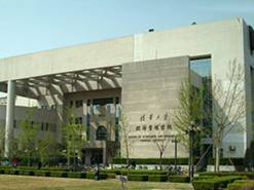 Founded in 1994, the university’s Guanghua School of Management is formerly the Department of Economics and Management. 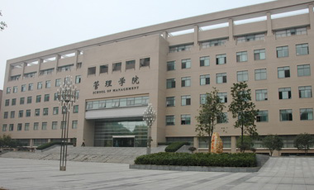 Currently, the school has 8 departments, and is one of the best business schools in terms of scientific research capability, among other institutions of higher education in mainland China. In 2001, the school collaborated with the National University of Singapore (NUS) Business School, in launching the world’s first bilingual international MBA (IMBA) dual degree program. Apart from Asian region, in Europe, the Guanghua School of Management is also the partner of AACSB and EQUIS-accredited ESSEC Business School (France), in offering international programs. Furthermore, in North American region, the school also has partnerships with Harvard Business School and University of Pennsylvania Wharton Business School. What’s worth mentioning is that Purdue University business school, which conducts study abroad programs at NCCU, along with Università Commerciale L. Bocconi, Queensland University of Technology, and Hong Kong University of Science and Technology, are also Guanghua School of Management’s partner schools, in which all are drawn together out of mutual admiration.